There is much talk nowadays of ‘going on a journey’, or ‘being on a journey’. Peatland restoration is often referred to in such terms. 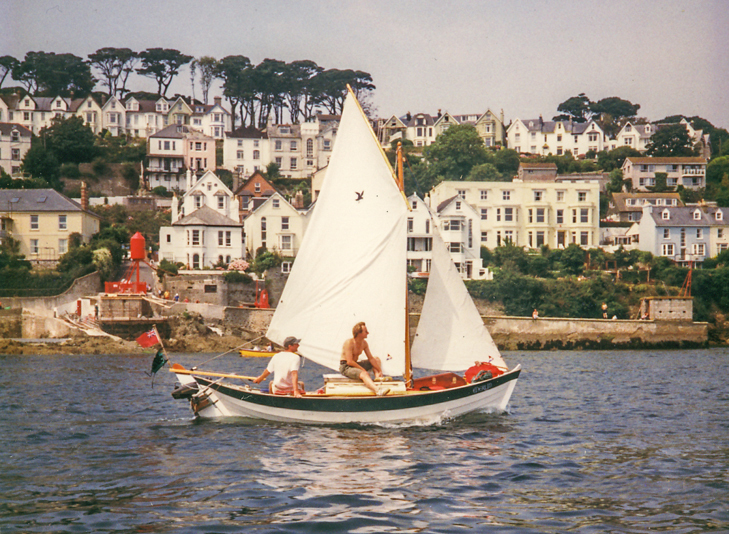 Some of you will know that I own a very small boat called Merlin, and it does seem to me that restoration and restoration monitoring are far more similar to a sailing voyage than any journey on land. To begin with, there are no roads at sea. Just as every site has its own unique characteristics, its own history and its own future trajectory, so every voyage is unique. Many boats may follow the same general route but none will take exactly the same course – unlike following a road or pathway on land. At sea, the first step of any voyage is the passage plan. This involves careful consideration of initial conditions and anticipated circumstances en-route in order to establish the course to be followed for a safe and viable voyage. The passage plan is not, however, a fixed map. The plan sets out a series of courses and course changes which appear to offer the best hope of completing the voyage successfully and safely, but which ultimately may or may not be followed because conditions at sea may prove to differ from those anticipated. The passage plan familiarises the navigator with fixed points along the proposed route, brings into play known variables such as tide height, tidal currents, forecast wind-speed and direction. It may also define alternative safe courses in the event that prevailing conditions should change. The key thing about a passage plan is that it starts from a fixed known point. This is almost the only certain thing about the plan. Virtually everything after that is based on the circumstances likely to be encountered. The starting point is established using navigation charts – in the case of the UK these would be Admiralty charts. In the US the NOAA provides similar charts. Navigation charts provide a precise position for the point of departure, be it harbour or mooring point, and provide valuable indicators for navigational progress from that starting point – indicators such as leading lights, buoys and other navigational marks. Every peatland restoration programme has a starting point. If habitat restoration is to be undertaken it is reasonable to assume that the site is not currently in good condition, but what exactly is its condition? How is this starting point defined and described? Reading the descriptions of study sites published in scientific journals is a sobering experience. A high proportion of descriptions go no further than assigning the site to an NVC type and accompany this with statements such as “the site has been drained”. Although many of the early ecological papers such as Godwin & Conway (1939) or Ratcliffe & Walker (1958) provide photographs of their study sites, this has become a rare feature of journal papers despite the increased sophistication in visual recording and publishing technology. The use of VR technology should in future even allow readers to have a virtual visit of a study site, but at present such detailed site information appears to be on the wane rather than expanding, a state of affairs which I find both baffling and frustrating. This should also be a source of profound wider concern, particularly as a brief survey of the audience during my talk revealed that no-one believed the NVC to be sufficient for describing the condition of a peatland site, and only a single person (albeit someone with considerable experience) believed that the Common Standards Monitoring (CSM) scheme for peatlands was sufficient for defining the condition of such sites. 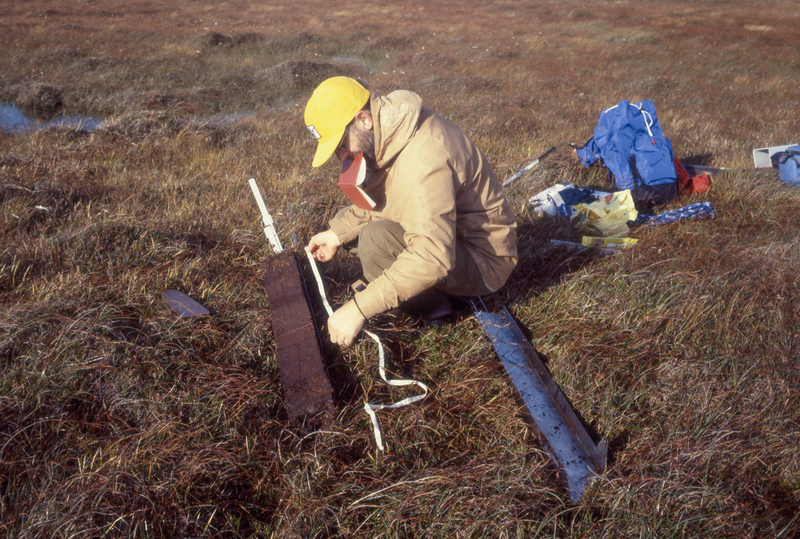 Yet these are the ‘standard’ tools by which peatland sites in the UK are described. If there is little or no confidence in these tools, how then is the one fixed point on a restoration (or research) voyage to be defined – namely the starting point? 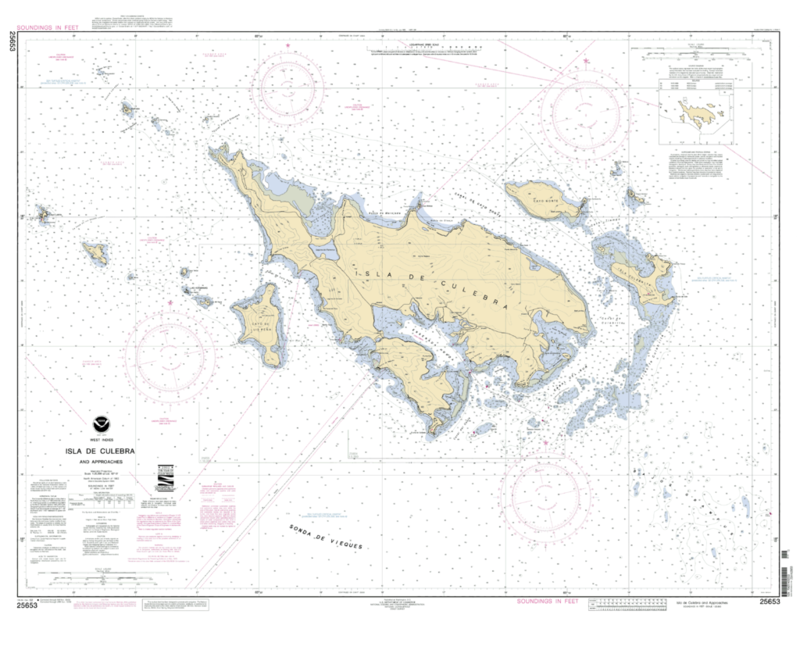 What can be used to provide the accuracy and confidence offered by an Admiralty or NOAA chart? Without the equivalent of an Admiralty chart, it is not possible to define adequately the starting point of any restoration programme, nor to interpret adequately any research data obtained for the site. The fault does not lie with the NVC, which was developed as a means of categorising the whole spectrum of British vegetation rather than defining condition-states within given vegetation stands. Nor is CSM at fault, because this was developed to identify broad levels of condition which could be assessed rapidly. The fault lies, perhaps, in the assumption that these two descriptive systems are adequate for defining the starting condition of specific sites which are under restoration management or investigation. The IUCN Commission of Inquiry Report has illustrated a set of condition states, but these are somewhat generic (Bain et al., 2011), while I have set out one approach by which site condition can be described more precisely (Lindsay 2010, Appendix 3), but much work remains to be done. Unfortunately, such ‘descriptive’ research does not readily attract research funding so it is difficult to see how development of suitable descriptive systems is to be achieved. Every voyage has a starting time, and this is often dictated by the state of the tide. Tides are almost the only other certainty within a passage plan because tidal rise and fall for a number of reference ports is a well-established set of data. The precise tide heights and timing for any given day are available from tide-tables published annually for the set of reference ports. The navigator adjusts the height and timing of the tide according to the position of the departure point in relation to the nearest reference ports. 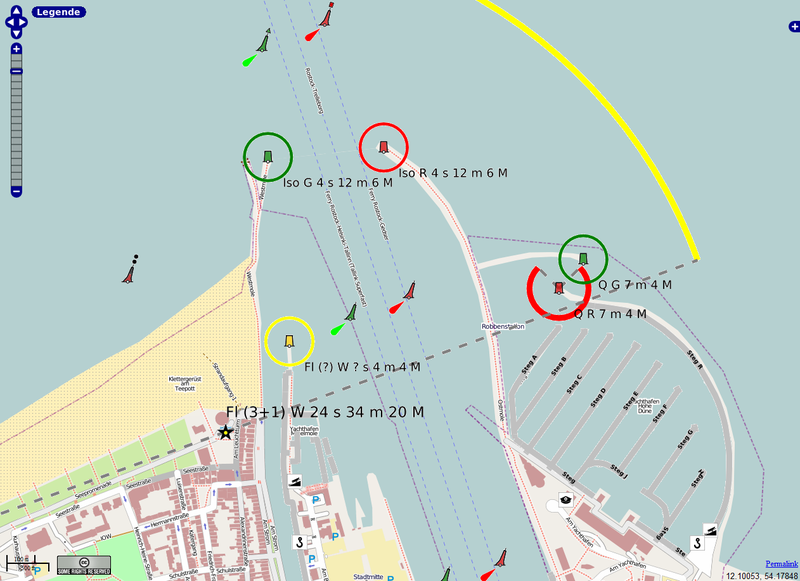 It is therefore also important to know the exact location of the departure point in relation to these reference ports otherwise the boat may run aground or be unable to cross a harbour bar. In the case of our restoration voyage, there may be reference sites against which any monitoring data can be compared, but such comparison only makes sense if the relative condition of the restoration site can be compared effectively with the condition of these reference sites. If the condition of the reference sites is also ill-defined, comparison becomes even harder and potentially more misleading. On setting out from port on our sailing voyage, we then encounter our next challenge. The thing we are travelling over is itself moving! Tidal currents mean that although we may have a desired trajectory, the tidal current influences our trajectory and may result in us following a somewhat different course to the one we had planned. We anticipate this in our passage plan by referring to a tidal stream atlas. This tells us the direction and strength of the tidal current at different states of the tide – states which are determined from our tide tables and calculations relative to our reference ports. A tidal-stream atlas is less definitive than the tide tables because at any given location at sea there may be localised eddies and other disturbances which can mean that the local current differs from the overall pattern of the tidal stream. Published pilot books can give warning of some well-known anomalies but local conditions on the day can generate such a wide variety of effects that the passage plan can only allow for the most well-documented anomalies. The only practical way of allowing for such local variations is to ensure that a constant watch is made of the boat’s progress during the voyage. Having decided to sail on a given state of tide, the next factors to take into account in the passage plan are the likely windspeed and direction. These are obtained from the shipping forecast, but unlike the dependable predictions of tide tables and tidal atlas, the shipping forecast can give only the most general indication of anticipated weather conditions. The true conditions will only become evident once the boat leaves the protection of the harbour. It is therefore absolutely vital that accurate readings are taken of the conditions once in the open sea to enable appropriate adjustments to be made to the passage plan. The wind direction may mean that a different course must be adopted in order to make progress, or the direction and speed of the wind may mean that there is a tendency for the boat to drift off-course downwind. These factors, determined by noting the boat’s position over time, may have a major influence on navigational decisions, being used to anticipate our likely course made good as we round critical headlands – rather than being swept onto them. Our new ‘course steered’ makes allowance for these influences, ensuring that our ‘course made good’ follows the desired trajectory. drives the boat south while it attempts to sail east. Similarly, every peatland site already has both an underlying trajectory as well as a set of short-term responses before ever we begin any restoration management. It has its own tidal stream. There are no tidal stream atlases for peatlands but there is the peat archive, which provides a record of what the site has been doing for the past few thousand years. How often is this used – even to examine just the past century or so – as a means of assessing a site’s current trajectory? There is a natural tendency to assume that the current vegetation is what has existed on the site for some time but often a core taken from the uppermost layers of peat will reveal that a very different vegetation was present until quite recently. the recent record of lead deposition. On other occasions a vegetation type may be assumed to have resulted from recent impacts but this assumption may be shown by the peat archive to be incorrect, with the evidence of the peat core revealing that the present vegetation has characterised the site for many centuries or even millennia. Current concerns about Molinia caerulea, for example, may reveal that in certain locations this species is indeed a recent coloniser and is associated with much charcoal resulting from burning, whereas in other locations the archive may reveal that Molinia has been a constant feature for millennia because this is a natural zone of water collection and movement. Considering the overall direction of the restoration voyage, most areas of peat bog will have an underlying tendency to return to peat bog conditions because this demonstrably is what has prevailed on the site, often for several millennia. This overall tendency can only be deflected by the input of energy, whether in the form of, for example, peat cutting, drainage or burning. Such influences may have an influence lasting centuries in some cases, adding complexity to the underlying trajectory of the bog system, but on cessation of such pressures the bog will generally demonstrate a tendency towards resumption of peat formation. Immediate pressures such as trampling through overgrazing, or even responses to restoration actions, may impose a further set of influences on the trajectory of the bog. These will inevitably interact in much the same way that shifting wind directions and swells from distant storms influence a boat’s course from hour to hour and require careful adjustments of the course to steer in order to be sure that the boat, or bog, follows the desired track. The underlying direction of travel and general character of the original natural state can nevertheless often be determined by even a relatively simple analysis of the peat archive. This is a feature almost unique in terrestrial habitats yet one which is rarely used as a guide. Having passed safely beyond the harbour entrance, a wise skipper does not then announce, “The last cardinal marks of the harbour entrance are now astern, the bows are pointing roughly towards the Scillies, so let’s stow away all the charts and continue on this course based only on dead reckoning and hope that we eventually arrive safely in St Mary’s harbour”. Yet this is what generally happens with peatland restoration. Restoration research and monitoring is geared to three, four or, at most, five-year funding programmes. When the funding ends, so does the work, but without ongoing monitoring it is impossible to identify the course subsequently being taken by the site. In sailing navigation the complexity of the various interactions resulting from the tide, the tidal stream, wind direction, wind strength, the boat and its rigging, and even the skill of the crew, make it vital to determine the boat’s position throughout the voyage in order to ensure that the boat is not drifting off into potential danger. Simply pointing the boat vaguely in the right direction at the point of departure and trusting for the remainder of the voyage only on measurements taken from a boat which is moving through two media which are also moving (wind and water) is the height of folly. Although it is possible to measure wind direction, compass heading and speed through the water accurately while under way, these measurements alone are of limited use to the navigator and become less so as the voyage progresses because it is the ‘course over the ground’ which is the critical thing. These measurements need to be put into some sort of navigational context. An ‘estimated position’ (EP) can be plotted based on the direction and apparent speed of travel for a given period of time – a process known as ‘dead reckoning’ – but the errors resulting from tidal influences, leeway and poor steering compound and multiply over time and can mean that the EP is a considerable distance from the actual position. 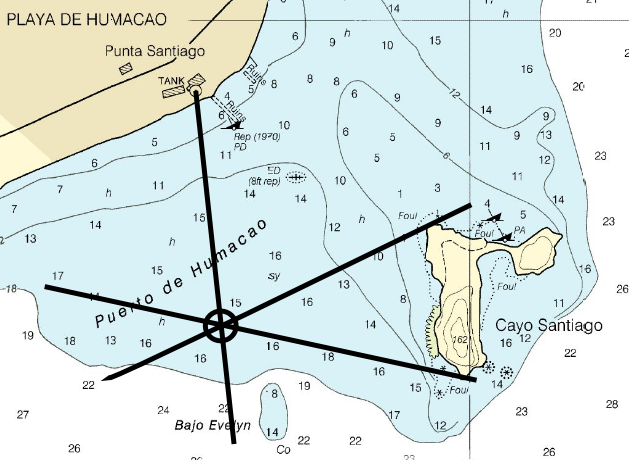 It is essential that the true position of the boat be determined repeatedly throughout the voyage in order to make sense of the measurements obtained from the navigation instruments. Only by combining these values with a known position is it possible to judge whether the tide is pushing the boat off course, or the wind is causing significant sideways leeway drift, or the helmsman is simply being inattentive. No competent skipper would therefore dream of attempting a voyage based solely on dead-reckoning because the imponderables are too many and varied. Instead, navigators rely on ‘fixes’ taken at regular intervals based on identified fixed points – a headland, a distant church spire, the sun at noon, or the stars – in order to confirm the boat’s position on the chart. Today, of course, GPS is commonly used to determine position, but the process is essentially the same as traditional fixes because the satellites have become the known points. The calculated ‘course to steer’ is then combined with dead reckoning to keep the boat roughly on course until the next ‘fix’, but if we have no chart how is a ‘fix’ ever to be obtained? Establishing a navigational ‘fix’ using bearings to three identifiable charted points. A fix can only be obtained by reference to the navigation chart, but if we have no chart, how is a fix ever to be obtained? This is one of the key challenges facing peatland restoration and monitoring. It is possible to measure, for example, hydrology, gas flux or water chemistry but without some reliable chart of ecological condition such measurements can only provide a form of dead reckoning which merely positions the site relative to its (generally ill-defined) starting-point. It is not possible to judge where this estimated position lies in relation to the desired course towards a restored condition unless this EP can be fixed using a chart of ecological condition. 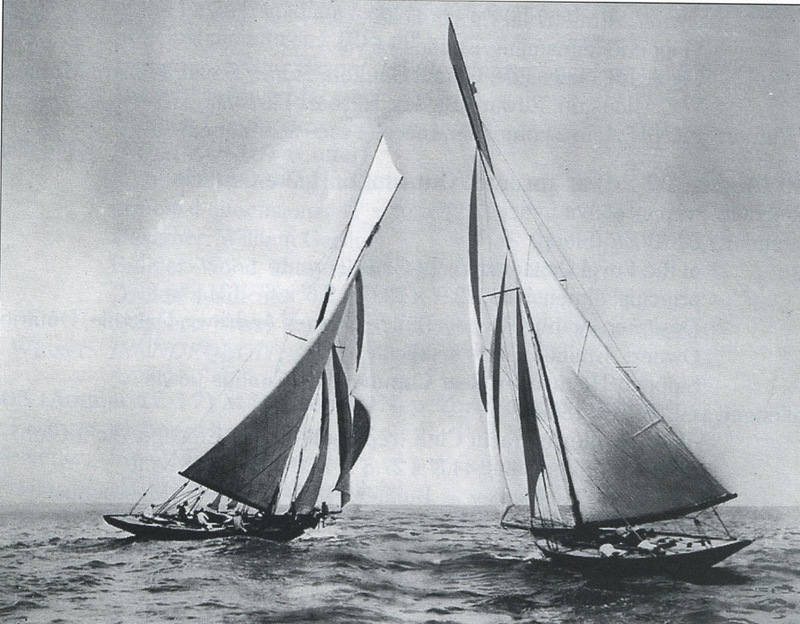 The yacht Canada (left), skippered by Aemilius Jarvis, crosses tacks with Vencedor” on Lake Erie, near Toledo, Ohio, in the 1896 match-racing series from which “‘Canada emerged the victor. Both yachts are aiming for the same finish line but are currently sailing in very different directions because they are tacking in order to make progress to windward. Similar confused conditions may be found in peatland restoration, particularly immediately following restoration actions, but the nature, direction and duration of such responses cannot be identified clearly unless charted positions can be established repeatedly for this transitional phase. Just as when a sailing boat is tacking, at any one moment the site may appear to be heading in completely the wrong direction but repeated fixes gradually establish that the site is indeed making progress along the desired course. Without such fixes, monitoring results may appear confusing and even counter-intuitive – indeed a short period of measurements may present entirely the wrong picture of overall progress. It is therefore important to have a series of fixes which have been taken over an appropriate span of time relative to the overall voyage before any conclusions are drawn about responses to restoration actions. The first few years, or even the first one or two decades, may see the system experiencing a period of settling down where perhaps nothing seems to be happening for a time, or conditions even appear to be deteriorating further, or heading in unexpected directions. Under such circumstances it is important to recall that even 100 years is a very small time-frame within the ‘life-span’ of a bog. If the habitat were a forest under restoration management, the concept of reserving judgement on progress for a decade or two would excite little comment. It is reasonable to apply the same approach to peat bog systems because many have already enjoyed much longer ‘life spans’ than most surviving forests. It’s also vital when monitoring the progress of a voyage to ensure that the correct things are measured. There is an important difference between ‘course steered’ and ‘course over the ground’. A classic error in sailing is instructing the person at the helm to keep a navigation point “on the starboard bow” in order to clear a headland but fail to give an associated compass heading. The person on the helm duly keeps the navigation mark to starboard but does not realise that the boat’s heading is changing all the time because the boat is being swept to starboard by the tidal stream and will soon be on the rocks of the headland. Similarly, it is all very well monitoring the behaviour of the water table but if the ground surface itself is subsiding then measuring the water table alone does not tell us what we need to know about overall impact. Being some 90% water in composition, when peat is dried it shrinks, and the more decomposed it is the more it shrinks. Peat which is relatively un-decomposed (e.g. H2-3 on the von Post scale of humification) shrinks by only a modest amount when dried because there are many long fibres which help to retain the overall matrix shape, whereas peat which is high decomposed (e.g. H8 on the von Post scale of humification) can shrink by as much as 50% when dried. 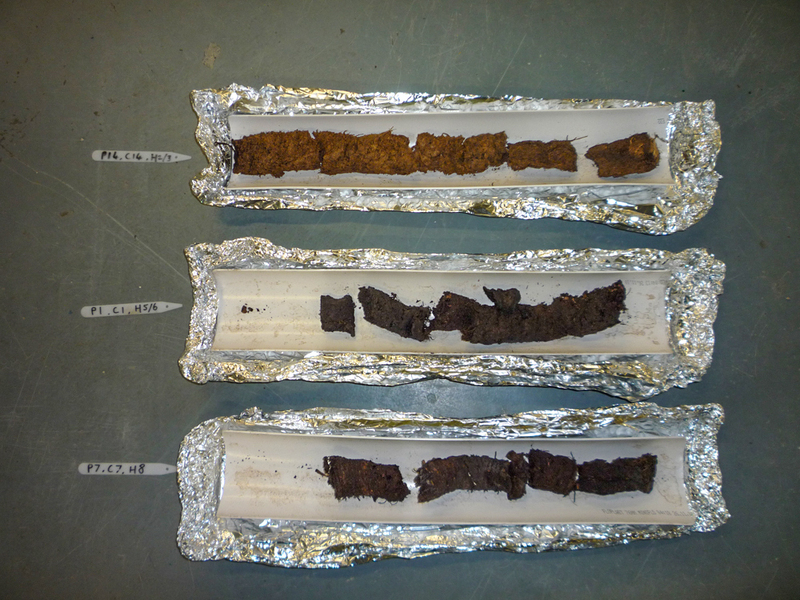 Peat cores for differing degrees of humification, originally 50 cm long, following extended air drying. (Top) H2-3, (Centre) H5-6, (Bottom) H8. The ultimate example of shrinkage resulting from drainage is the Holme Fen Post in Cambridgeshire. This cast-iron pillar taken from the Crystal Palace Exhibition was sunk into the raised bog of Holme Fen in 1848, just prior to drainage of the last great Fenland meres – Whittlesea Mere – adjacent to the raised bog. The post was attached to a constructed base embedded in the mineral soil beneath the peat, positioned in such a way that the cap of the post was level with the raised bog surface in 1848. The surface of the bog has subsided by more than 4 metres during the intervening 170 years. 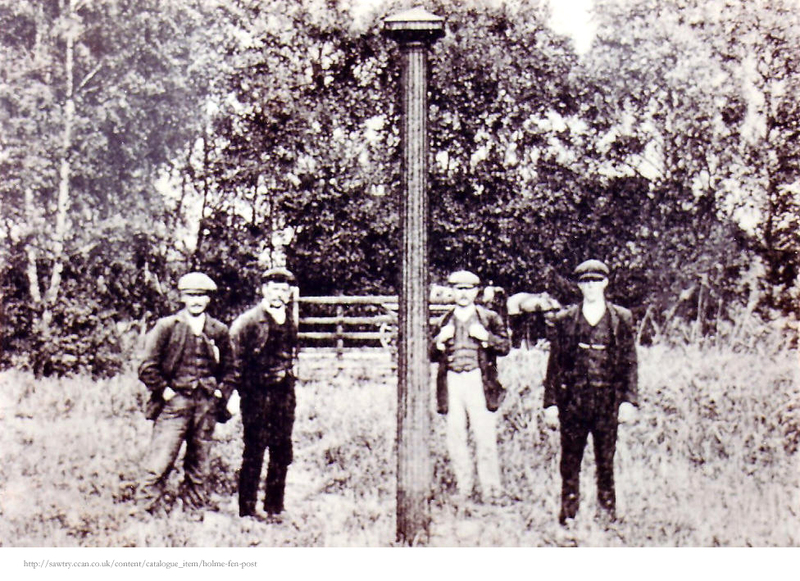 the Holme Fen Post since the 1850s. Thus it is important to recognise all the relevant forces which are acting on a peatland site both before it undergoes restoration and then subsequently after restoration begins. Monitoring just one or two of these relevant forces while ignoring other key forces, especially if they are slow-acting, can mean that crucial information is missed and a distorted view of responses is obtained. Time and duration are as relevant to sailing voyages as they are to restoration management. Time of day defines the state of the tide whereas time since departure gives an indication of the progress made along the planned course, as well as how much further there is still to go. Sailing voyages are generally shorter than peatland restoration voyages. The Holme Fen Post highlights the fact that navigation for a restoration voyage can mean establishing a monitoring system to measure system responses which is capable of being used time and again over periods of a century or more. Photographs, such as the one shown below for the Holme Fen Post taken in the late 1800s, provide a (reasonably) reliable objective and repeatable method of recording certain aspects of such system responses. But to what degree can this be said of other monitoring approaches? Any monitoring system intended to provide evidence of responses 50 years hence must be capable of being repeated in a consistent way in 50 years’ time and must also be capable of analysis and interpretation in a manner which is consistent with the original baseline survey. Without such consistency, the two sets of data represent two independent (and potentially incompatible) surveys undertaken 50 years apart, rather than representing two fixed points on a single voyage. Furthermore, the data need to survive for 50 years, rather than being lost, or trapped on some storage medium which can no longer be read. The Holme Fen Post photographed in 1910. 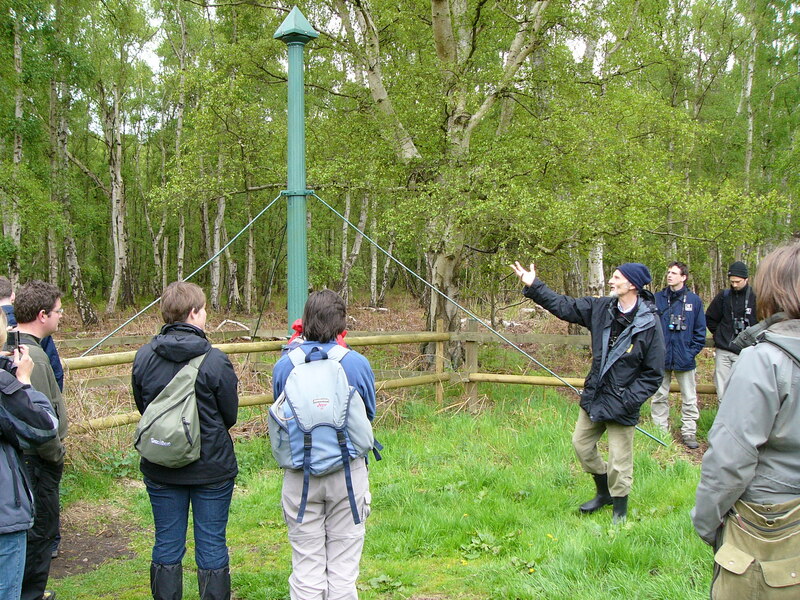 Funding-support systems for peatland monitoring are simply not geared to the type of long-term monitoring which is needed and which is exemplified by the really very simple but very effective long-term monitoring demonstrated by the Holme Fen Post. Current funding systems are similar to the skipper referred to earlier who, having safely negotiated the harbour entrance, points the bows towards the distant landfall then simply throws the navigation charts overboard and announces that, because there was no money to pay a navigator or indeed to purchase any navigational instruments, no further navigation will be required for the remainder of the voyage. This would be unthinkable for a sailing voyage. It is difficult to see how it is more acceptable for a peatland restoration programme. At the very least, robust monitoring systems need to be put in place at the start, and these systems need to be as robust as the Holme Fen Post. Specifically, they need to be systems which can be re-visited and measured effectively whenever a funding opportunity presents itself. Peat bogs are systems which are extremely sensitive to trampling and to solute inputs. It is therefore also important to ensure that the process of monitoring does not itself alter the system. In sailing, for example, a classic mistake involves taking a compass bearing while standing next to a large piece of metal such as a mast fitting, thereby ensuring that the bearing obtained is incorrect but without any obvious warning-sign that the bearing now being used for navigational decisions is false and perhaps dangerously misleading. 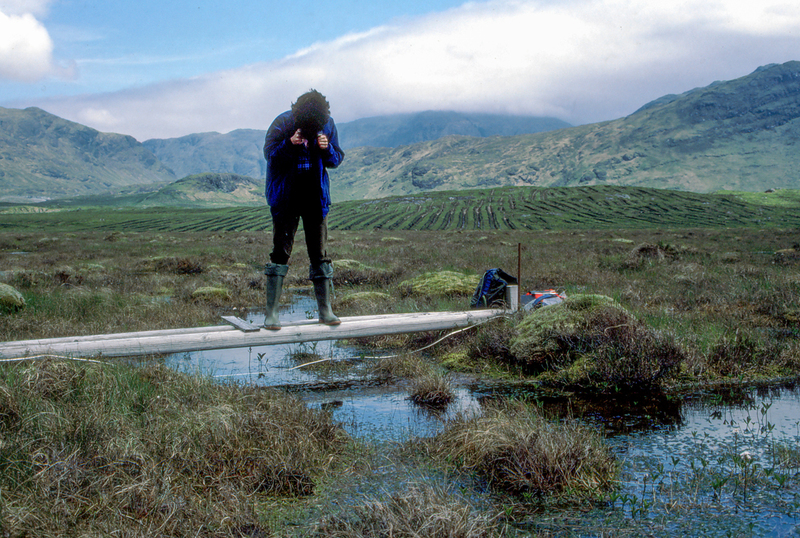 transect on Coladoir Bog, Mull, 1985. Such impacts – though particularly trampling impacts – can very quickly mean that one is, in effect, monitoring the impact of monitoring rather than monitoring the impact of restoration management. This is particularly true of peatland because of their sensitivity to repeated trampling. Consequently, we now use snowshoes around any fixed transects we establish and use folding camp-beds on which we stand or kneel while recording these transects. Fiona Everingham and Stuart Connop recording a fixed transect on Munsary Peatlands, Caithness, using snowshoes and a folding camp-bed. In the background, John Riggall and Jack Clough are setting up the camp bed for another transect. Do improved measurements mean improved monitoring? Assuming that pitfalls such as trampling and solute inputs can be avoided, the technology to record change is constantly improving. Thus, old R16 water-level recorders using paper charts on a clockwork drum have been replaced by modern pressure sensors and data-loggers. The fuzzy images from LANDSAT 4 have been replaced by the crisply detailed images available from Google Maps and what3words.com ESRI satellite view. Drone technology has advanced enormously since the use of helium-filled meteorological balloons or ‘inflatable kites’ with cameras slung precariously beneath. 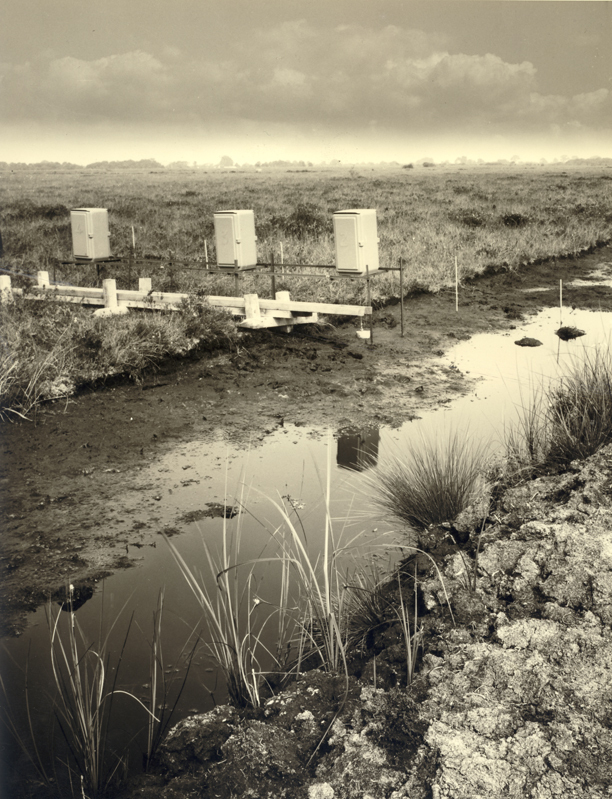 R16 water level recorders installed on Glasson Moss, 1980. 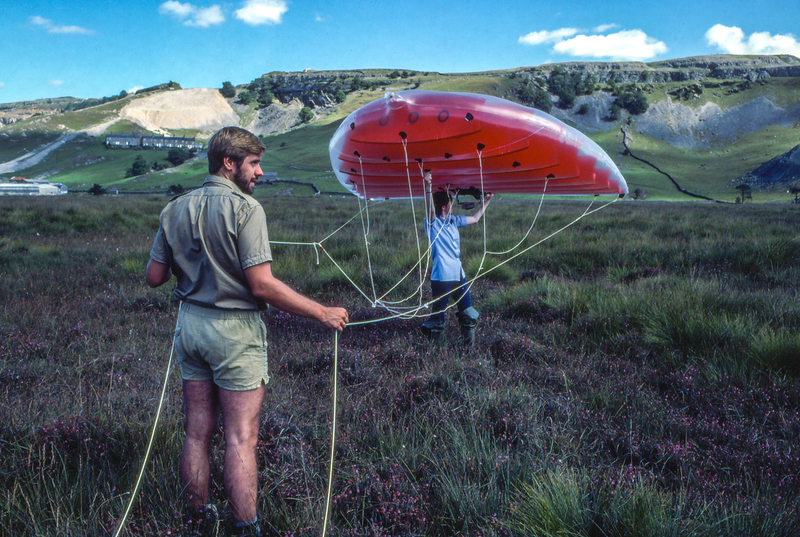 John Riggall and Fiona Burd prepare a Stewkie inflatable camera kite for low-level aerial photography on Helwith Moss, 1982. But while detailed measurements can now be obtained from a wide array of sophisticated instruments and mapping of peatland systems is possible to centimetre accuracy using drones and Lidar, does this necessarily mean that we can interpret these more detailed results more intelligently? If we cannot define precisely where we are on our chart – i.e. 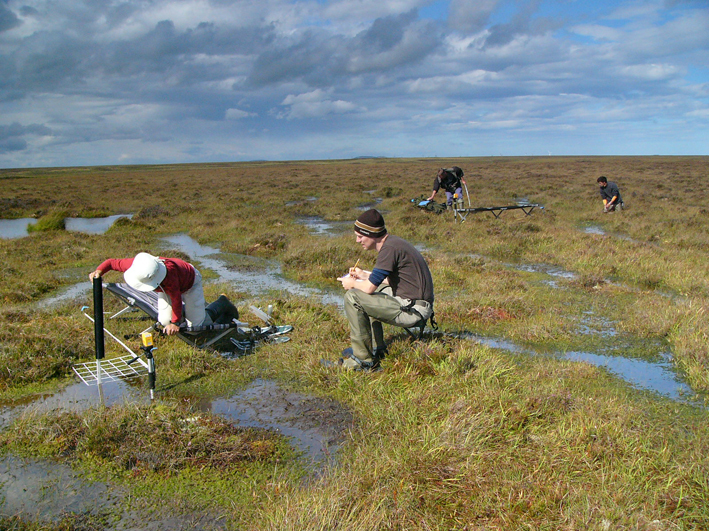 the precise state and condition of our peatland – how can we tell what these detailed measurements mean in terms of progress along the restoration voyage? I fear that while we may be obtaining more and more impressive types of data, this improvement in data gathering has not been matched by improvements in the tools needed to interpret these data, specifically in terms of the ecological continuum from degraded site to a fully functioning and ‘restored’ site. We have neither the tools, nor often the duration of funding, required to ‘fix’ our position on our voyages of restoration. At present we are setting out from an unknown starting point, navigating on the basis of ‘estimated position’ for the first 3-5 years, then often abandoning all attempts at navigation (because the funding has ceased), or attempting to complete our restoration voyage using dead-reckoning alone, because we have no charts capable of enabling us to obtain a true ‘fix’. Until we have good reliable charts, I fear that we will remain ‘all at sea’…..
Bain, C.G., Bonn, A., Stoneman, R., Chapman, S., Coupar, A., Evans, M.,Gearey, B., Howat, M., Joosten, H., Keenleyside, C., Labadz, J., Lindsay, R.,Littlewood, N., Lunt, P., Miller, C.J., Moxey, A., Orr, H., Reed, M., Smith, P.,Swales, V., Thompson, D.B.A., Thompson, P.S., Van de Noort, R., Wilson, J.D.& Worrall, F. (2011) IUCN UK Commission of Inquiry on Peatlands. IUCN UK Peatland Programme, Edinburgh. Godwin, H. and Conway, V.M. (1939) The Ecology of a raised bog near Tregaron, Cardiganshire. Journal of Ecology, 27, 315-359. Lindsay, R.A. (2010) Peatbogs and carbon: a critical synthesis to inform policy development in oceanic peat bog conservation and restoration in the context of climate change. Commissioned Report to the Royal Society for the Protection of Birds (RSPB). Ratcliffe, D.A. and Walker, D. (1958) The Silver Flowe, Galloway, Scotland. Journal of Ecology, 46, 407–445. The sad thing is, Richard, that this sort of thing has been written about time and time again, but few take much notice because the conservation imperative (in the face of too little funding) is to get on and take action rather than worry too much about monitoring. In the circumstances (of too little funding) that’s exactly how it should be, though it’s hardly satisfactory, and results in little learning and little info to justify future (or past) funding. Hence projects like CSM, which I’m bound to defend to some extent, having been involved since before Day One. It was designed as a minimum approach to answer simple questions, and it’s clearly had a major impact when we think back to the situation on SSSIs in the late ’80s. It’s not only provided a tool for reporting, but has driven positive SSSI management. A major restoration project clearly needs more detailed information, but the basic principle of CSM – set out what good condition looks like – still applies. The CSM guidance is just that, guidance, and a site-specific definition of “favourable condition” could be based on historical information or a reference site, as you suggest. This, hopefully, provides the markers that will tell you when you’ve reached your destination – for economical monitoring just select the minimum set necessary to know that you’ve done so. It may be necessary to select some pointers that will tell you if you’re going in the right direction. But, frankly, that’s really not necessary if you’ve got the business of restoration well established and have confidence that it will work. But if you’re still learning, then the waymarkers are really important, and monitoring becomes much more expensive. Hi Terry, many thanks for this – and all so true. CSM is undoubtedly the best we’ve got, particularly (as you rightly observe) everything necessarily continues to be done on a shoe-string. I guess my point is that more and more attention is being paid to peatlands in particular because of their carbon content, and questions are increasingly being asked of the peatland management community by politicians and possible carbon investors – questions which cannot be answered because the tools that we currently possess are too blunt to distinguish important differences between condition states. This isn’t the fault of the tools, it’s the fault of the scientific community in subsequently failing to develop better descriptive tools (because ‘descriptive’ papers are not encouraged by the ‘high impact’ journals that researchers are pressured to aim for because of the Research Excellence Framework). And alas, the NVC is still used as the standard go-to means of describing peatlands, because we don’t have any other widely-accepted system of vegetation description. Just look at the site description in virtually any EIA. My other point relating to condition states is that we now have scientists coming from a variety of scientific disciplines working on peatlands, and the starting-points and end-points of their investigations are crucial for an understanding of their investigation, but the tools of habitat description are not sophisticated enough to allow the researchers to identify accurately the nature of the habitat at the start and end-points. Your point about “if you’re still learning” is also particularly relevant because of course most of these researchers, coming from other fields, are still learning about the peatland habitat and therefore don’t have the experience to be able to define their start and end-points accurately – which then makes interpretation of their results difficult. This is why there are so many apparently contradictory research results emerging from published peatland papers and policy-makers are therefore tearing their hair out trying to make sense of it all. Sigh…..